Sympla Shoulder Support Kit is a “ready to go” solution that includes all the necessary pieces inside one box, even the counterbalance weight. 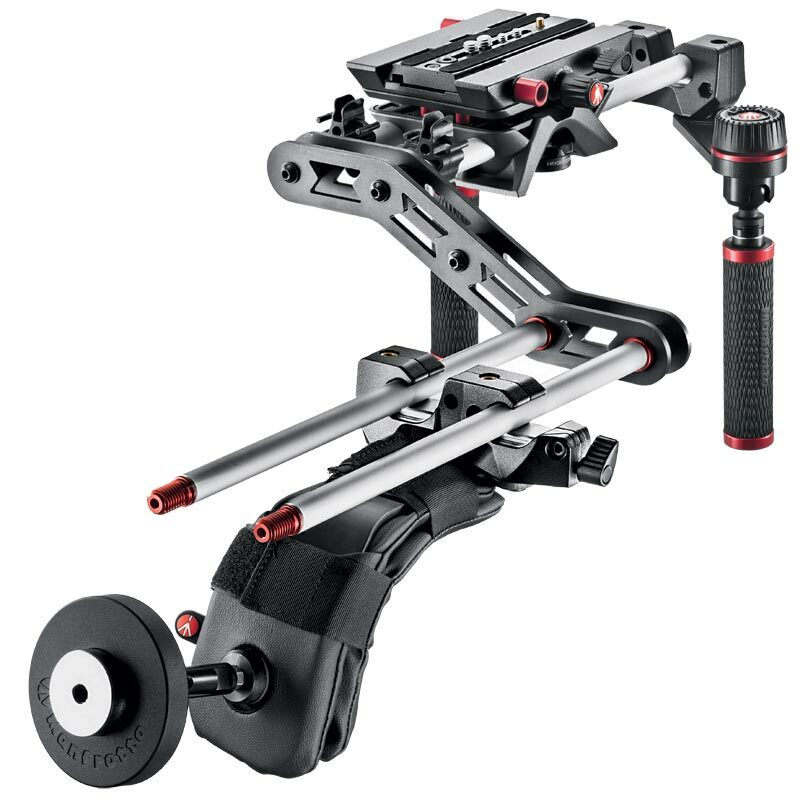 The Shoulder Mounted Rig is one of Sympla kits and allows support of camera equipment on your shoulder, with swivel-joint handles for perfect control and flexibility. 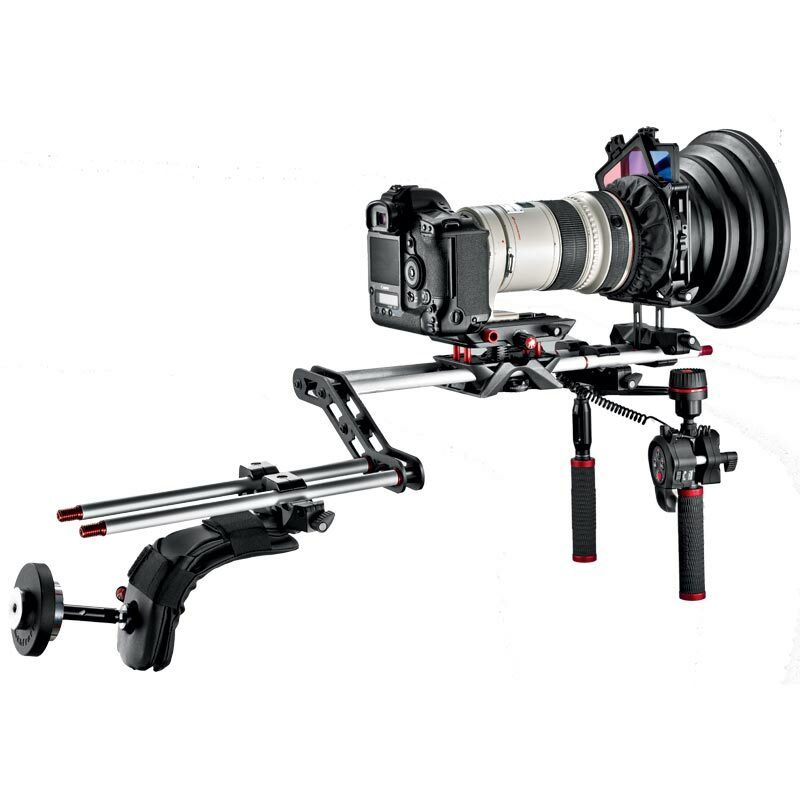 This rig is ideal for use with HDSLRs and interchangeable lens camcorders, featuring fast camera connection thanks to the sliding plate with quick release. The Variable Plate is one of the most important component of the rig. This element permits to quickly adjust the position of the camera in combination with all other accessories used, as the mattebox. The video equipment, such as HDSLR or Camcorder, can be easily controlled accessorizing this rig with the new HDSL Remote Controls, which put camera functions at your fingertips while letting you keep a firm grip on both handles.